A very personal, unique style and endless creative, our stairs offer functional and creaticve options for every room. Silestone is an innovative surface material consisting of 94% natural quartz. This makes this material so strong and durable. It also has a built-in antibacterial protection complex. Thanks to this advantage, Silestone is a worthwhile investment in the future. A modern Silestone worktop Unique properties of this quartz composite, in combination with the highest quality standards, allowing us the pursuit of innovation and new product development. 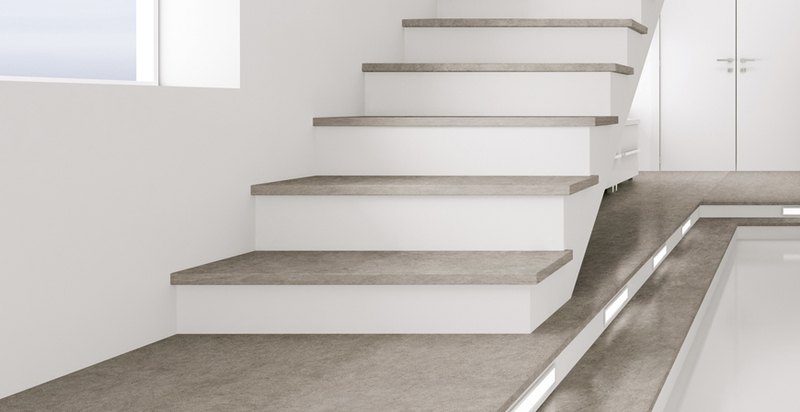 Silestone stairs give your home a personal touch. By their placement, usually in the lobby or directly in the living area of the house, it is also eye-catcher for every viewer. We make stairs in various strengths and structures. In addition to standard stairs we also offer cantilevered stairs with straight or gewändelten levels. Earlier the stairs were valued for their functionality, today it is a design object. Elegance and exclusivity are now in the foreground. They are becoming increasingly popular in modern construction. For other questions contact our specialist staff to answer questions. From Search to select the right material for your request staircase you will be accompanied and advised by us.